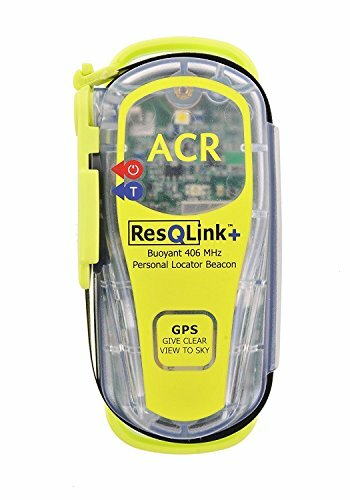 ResQLink+ PLB-375, MFG# 2881, 406 MHz Miniature Personal Locator Beacon with built-in GPS, strobe, 121 MHz homing beacon, and optional 406Link message service. 30 hr. battery, 1.6"W x 4.5"H x 1.9"D; Wt: 5.4 oz. Floats. This PLB includes a free reprogramming service which will enable you to register the device in the country of your choice. Should you wish to register the device in the US please purchase our separate listing, 'ACR ResQlink+ PLB - Programmed for US Registration'. PLBs have been proven, tried and tested in some of the world's most remote locations and treacherous conditions. Even in extreme conditions and situations, ResqLink+ activates easily. Just deploy the antenna, pull the anti-tamper seal and press the ON button. This PLB should only be used in situations of grave and imminent danger to life. False alerts endanger lives and cause expensive disruption to Search and Rescue services. Deliberate misuse of the device could result in a penalty.